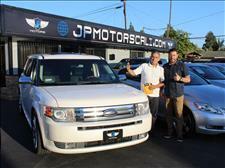 Juan was looking for a fast SUV and thankfully he showed up to JP Motors..Where everything is possible! 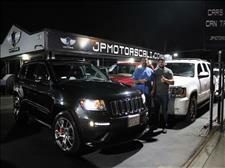 Juan drove out with his clean JEEP SRT-8 and was extremely happy. Thank you Juan, we appreciate your business! 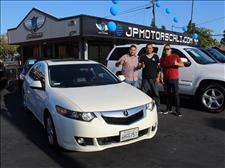 Thank you Jose for trusting JP Motors for your new-used vehicle. We worked hard on getting you approved and also making it happen. Congratulations! 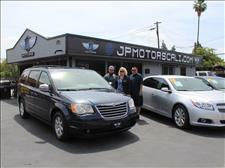 Athena was looking for a midsize SUV and luckily we (JP Motors) we able to provide the service she deserves. 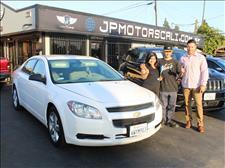 Thank you Athena for trusting JP Motors and we truly appreciate your business! 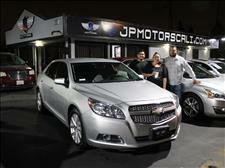 Gabriela was a referred customer from a good friend of JP Motors. We, JP Motors family were able to suit her with a commuter vehicle for work. Thank you Gabriela for your business! Jesus came in to JP Motors trying to get a SUV equipped with the 3rd row for the family. 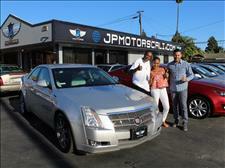 We (JP Motors) were able to help him get a immaculate/luxury Cadillac for his family. Thank you Jesus, we appreciate your business! 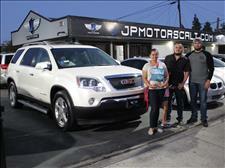 Thank you Jose for coming to JP Motors and purchasing your new-used GMC Acadia for the family. Once again, we appreciate your business! 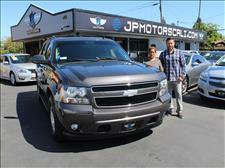 Jose was surfing the internet and looking for a Crew Cab Frontier for the family. He found us (JP Motors) and decided to come down and check us out. He was very satisfied with his new-used purchase on his Nissan Frontier. Thank you Mr. Gamez! 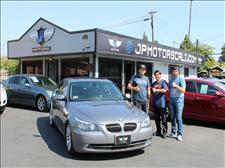 Antonio was looking for a Luxury Sport vehicle and we (JP Motors) are glad he came to us for assistance on our BMW 535i. 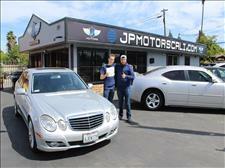 JP Motors tried hard on getting him approve with a low interest rate and made it happen for him. 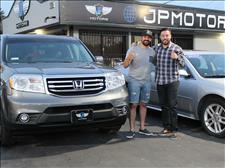 Thank you Antonio for coming to JP Motors! 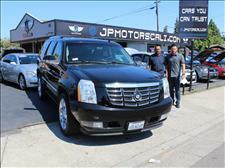 Another member in the Family trusting JP Motors for a family-size SUV. Thank you Armando for your business! 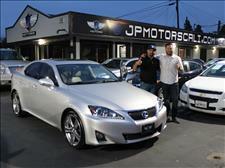 Aucencio is a family member of ours and we (JP Motors) are glad we were able to help him with his commuter Lexus IS 250. Thank you Aucencio for trusting JP Motors family! 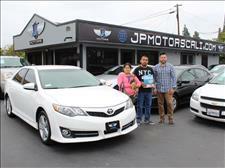 Thank you Pedro for trusting JP Motors once again on your new-used Toyota Camry. We are glad for your returned and trusting us once again! Yelp Review -- Integrity, honesty and humble, these three words are what comes to mind when dealing with these brothers and cousins, we drove over 600 miles round trip! Two days and one motel stay and my wife will do it again! Service wonderful, cars carefully inspected perfectly presented as is their total complex, it is place where attention to details matters to each partner. They keep their inventory to the perfect size so each automobile and customer is taken care by a partner with the respect and dignity not common within this industry. We arrived as customers and left as family. We have never felt more at ease and comfortable, while baying a car than here. Thank you again! 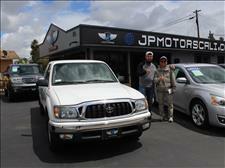 We will never buy another used car unless a phone call is made to JP Motors and these great guys! Donald & Marlyn S. from Sonora Ca. Yelp Review -- This is the best place to by a used car. Period. The customer service is great and perfect.. they know how to treat you right and offer you what you need.. they got me a great deal with a great price! They also have soo many choices of cars to choose from and all mechanically sound.. I have gone to other dealerships and every car had some type of problem, but these guys got it right. Excellent condition cars with excellent service. Ask for George tell him allan sent you. Steven and Evelyn were looking for a bigger vehicle with good amount of room. 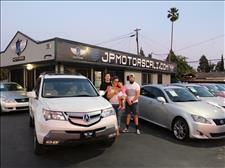 We (JP Motors) are glad that we had a beautiful Acura MDX with good amount of goodies in the vehicle. They were very satisfied with there experience and we truly appreciate there business. Thank you for coming to JP Motors! Felix was recommended to come to JP Motors from a great customer of ours. He was looking for a family-size SUV and we (JP Motors) are glad that we were able to help him get this beautiful Suburban LTZ . Thank you Felix! 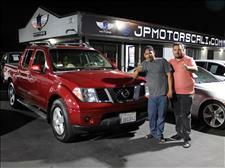 Thank you Fernando for returning once again to JP Motors and purchasing your 2nd auto-loan. 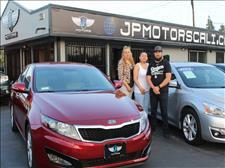 We (JP Motors) appreciate your business! Another Satisfied customer at JP Motors. Thank you Karina for your business! 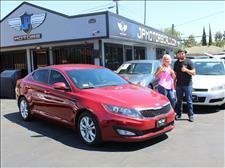 Thank you Jose for coming to JP Motors and leaving with a very nice KIA Optima Turbo. I'm glad that we were able to assist you and make miracles happen. Yelp Review -- I found out about JP Motors thru my credit union, so I knew the dealership was the real deal. Jorge was helpful in my search for a truck. I test drove and took home the truck the same day! The transaction took place on a weekend, but we managed to seal the deal. I'm happy with my truck, and thanks to Jorge and his team for making it possible. Also, special thanks to my credit union. If you want peace of mind, check out JP Motors. You'll drive away as a happy customer! Yelp Review -- Thank you gio so much for my 2008 VW Rabbit, I love it. I recommend coming here if your looking for a car. They are so friendly and respectful! it's great! Another satisfied customer at JP Motors. 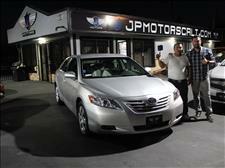 He was looking for a low mileage commuter vehicle and left with a Toyota Camry. 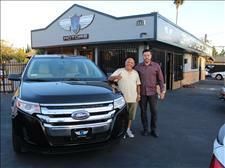 Thank you for your business Mr. Lopez! 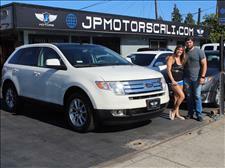 Thank you Leticia for letting us (JP Motors Family) help you on your new-used family-size vehicle. We truly appreciate you and having a pleasant car-buying experience. Enjoy your New-used Tahoe! 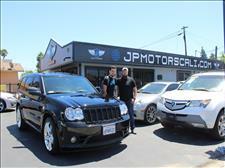 Thanks once again Jose for coming to JP Motors and letting us help you on your new SRT8. Congratulations on your first car-buying experience! Yelp Review -- So glad we found JP Motors!! 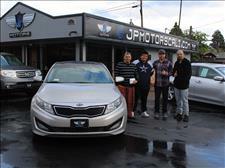 Jorge was great to work with - definitely went the extra mile to make sure we were happy with our purchase. Really nice cars, comfortable office, great service.....I would definitely recommend JP Motors to a friend or family member! 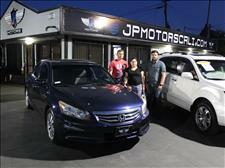 I'm glad that we at JP Motors were able to assist you on your new used Honda purchased. 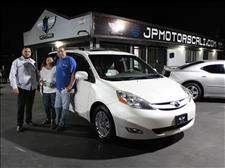 Thanks for choosing JP Motors! 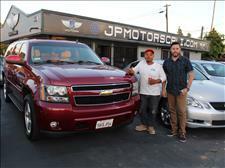 Thank you Hector for your business at JP Motors. Enjoy your Honda! Yelp Review -- I was looking for a car I wanted for a long time(Mercedes E350 2008-09). When I finally came to JP Motors I was introduced to Jorge. He showed me a car and after the drive test I said I'll come back in a couple of days. From our first meeting to the moment when I drove from the dealership on my new car everything was very smooth, professional and no drama. Although I was a first time buyer I got a solid deal. 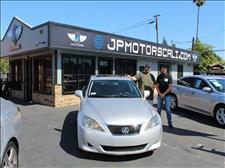 Furthermore, Jorge helped me to get the best financing option. I'm very happy and pleased with my experience at JP Motors. I'll definitely recommend this dealership to anyone who wants to buy a car. Keep it like that, Jorge! 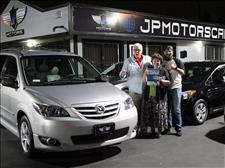 Happy customer came in looking for a family size Van and purchased a pristine Toyota Sienna XLE. Thank you for your business Jose! 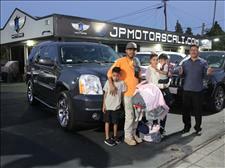 Satisfied customer that bought an SUV for his family at JP Motors. Thank you Wilfredo! Yelp Review -- Very pleased with my experience at JP Motors. Jorge helped me out and was great. He never pressured me and helped me work out the best way to get a low interest rate. I got exactly the car I wanted (04 Lexus IS300) and Jorge made it easy. I would recommend JP Motors for quality cars and service!